Summary: On July 22, 2016, Takumi started writing about the reason why he used the theme of spirit channeling in the second episode of Gyakuten Saiban 2 (Ace Attorney 2 - Justice for All) on his Twitter account. In a series of tweets posted on July 29, 2016 (which starts with this tweet), he continues his explanation of why a seemingly supernatural element made its way in a fair play mystery story. 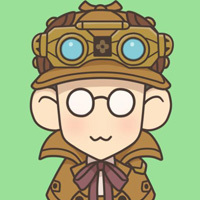 While Takumi has already talked about this in the original Gyakuten Saiban 2 developer's blog, this series of tweets forms his most recent exposition on the topic and it also includes a little bit of his own views on mystery fiction in general. In the translation below, each paragraph is a seperate tweet. Good evening everyone. Last week, I was planning to tell you about I came up with the Spirit Channeling Trial, because Reunion, and Turnabout is airing right now. At least, I started writing like that, but I took a strange roundabout way and it became rather long. Takumi here, starting right away with the continuation of last week. "I don't think it's an orthodox mystery story if it features spirit channeling." As the sincere creator that I am, I considered all of the feedback seriously... and I arrived at this conclusion: "So why wouldn't it be an orthodox mystery because it features spirit channeling?" Personally, I think an orthodox mystery is a story where the "creator" and "reader" have "a shared set of rules", and the mystery is solved in a logical way based on those rules. As long as that is the case, having spirit channeling or even magic or not has no consequence on whether something is an orthodox mystery or not. That so many mystery stories are based on the real world, is just because there is a shared set of clear rules that everybody knows, so it's not necessary for the writer to explain them. As long as there are rules to "spirit channeling", that too can become a perfectly fine part of an orthodox mystery story! ...and here my love for mystery fiction goes wild again. Anyway, see above. That is why I felt that if I had a chance to make a sequel to the game, I'd definitely have a story where spirit channeling would be the main gimmick, and show everyone it would work as an orthodox mystery! ... At that very moment, my boss, whom I talked about last week, suddenly appeared and casually asked me this: "Takumi. Do you want to make a sequel?" Let's set aside whether this creator is really so sincere. Anyway, that is why once it was decided that we'd make a sequel, the first thing I thought of was the Spirit Channeling Trial: Reunion, and Turnabout. That is why I am so very fond of this episode.